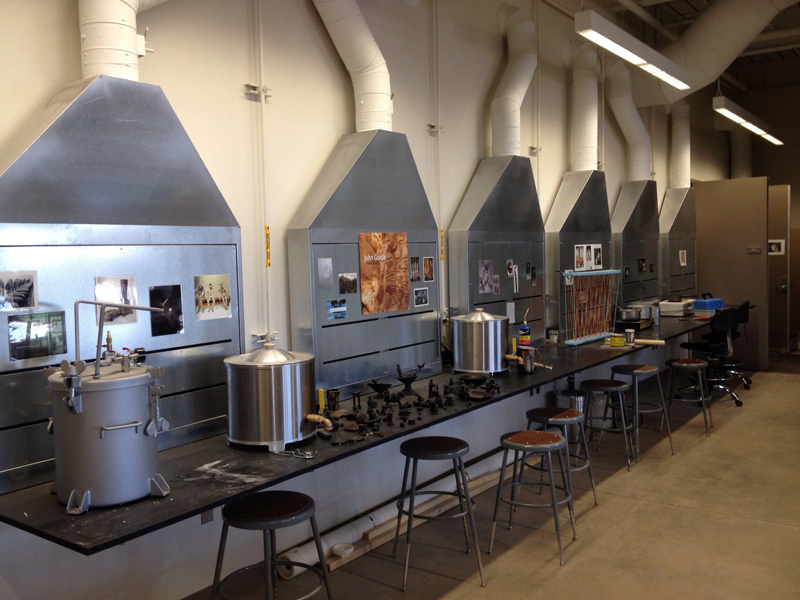 In 2016 the Visual Arts Facility at the University of Wyoming was awarded one of ten prestigious COTE awards, the highest national recognition of sustainable design excellence given by the American Institute of Architects. 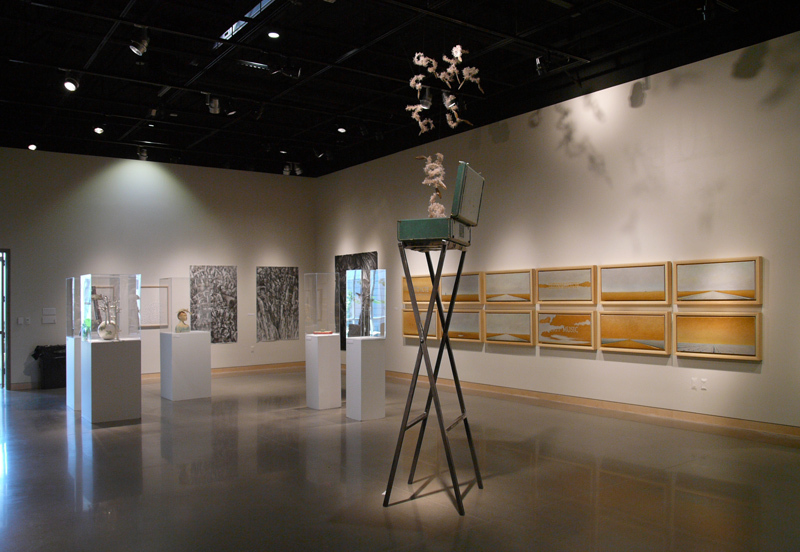 The 83,000 SF facility provides state-of-the-art spaces for ceramics, sculpture, painting, small metals, printmaking, digital media, and art history. 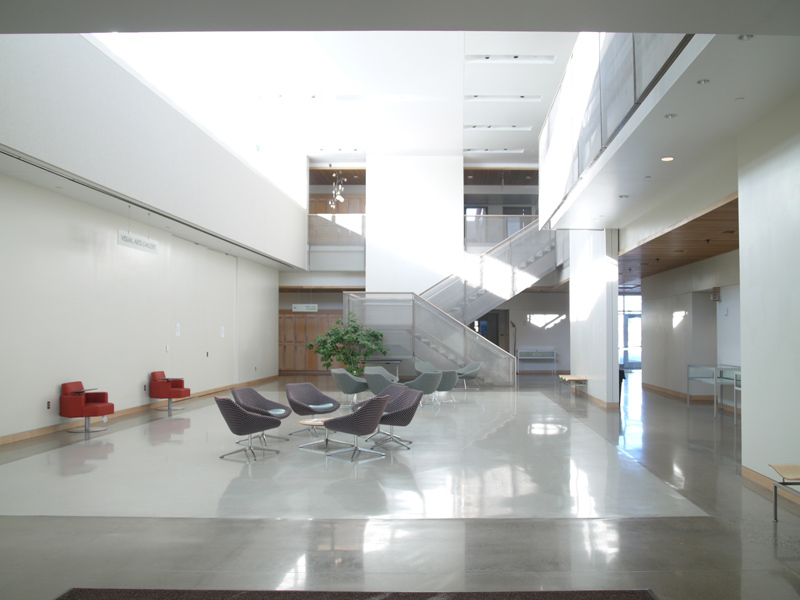 The building additionally earned LEED Platinum certification, which like the COTE award, is an especially notable achievement in a facility with so many specialized mechanical ventilation systems. The art building has very sophisticated mechanical solutions to conserve energy, and the proudly displays the work it is doing. The entire roof showcases a state-of-the-art, evacuated tube, solar powered thermal system, one of the largest such installations in the US. This produces the heat for the building’s hot water; warms the in-slab radiant heating system and pretreats outside air for ventilation. 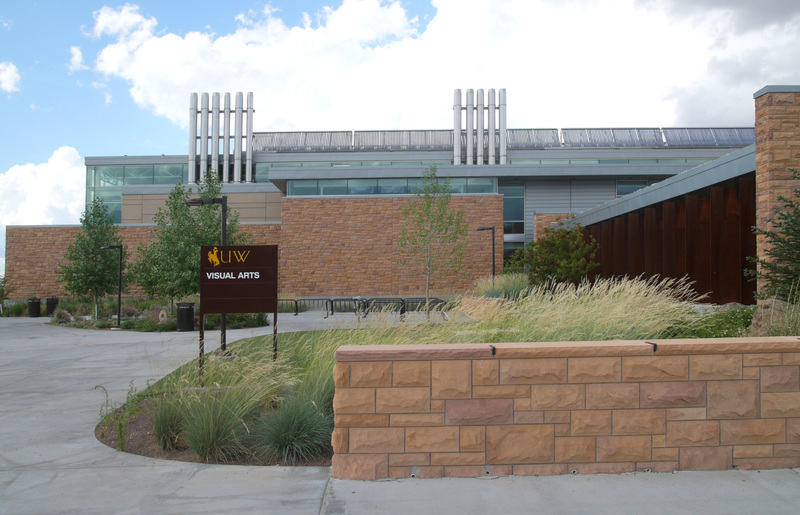 This solar-thermal heating system provides an astonishing 1,134 MBtu per year, more than a third of the Facility’s heating requirements in Laramie’s rigorous climate. The VAF does not have refrigerant based air conditioning, but is cooled by a centralized evaporative system, with natural ventilation for perimeter offices and common areas. The frequent regional winds are harnessed by strategically locating exterior louvers and ducting into interior common spaces. Auto switches keep lighting and exhaust fans from being left on unnecessarily. 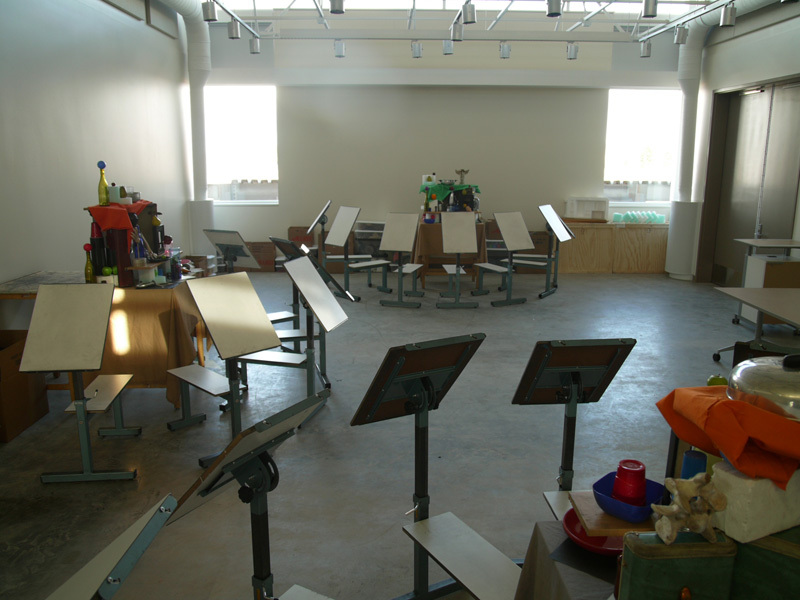 The building’s exterior features the sandstone and other materials used in the center of Campus yet presents a new look appropriate to the Visual Arts activities inside. It aligns comfortably with the architecture of the adjacent Heritage Center, while maintaining a clearly distinct identity. Malone Belton Abel served as prime architect in collaboration with our associate, Hacker of Portland, Oregon.